There are very few occasions that we’d consider breaking out something with a skull and crossbones motif, and Halloween is one of those few. 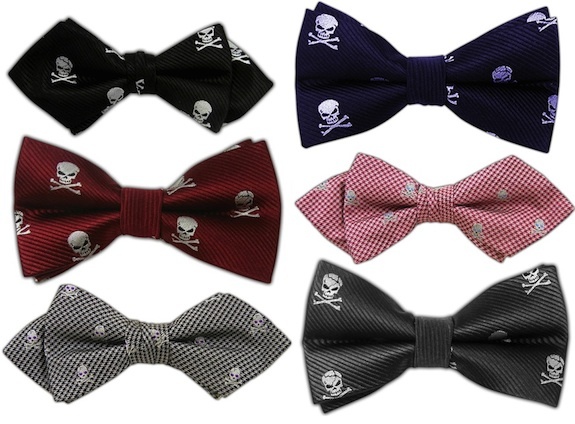 To celebrate the day, our bowtie Friday pick this week is the Skull and Crossbones bow from The Tie Bar. Over the last couple of years, we’ve been happy to see more and more of our favorite brands offering their takes on classic flannel shirts. This season, one that caught our eye comes from Bonobos. 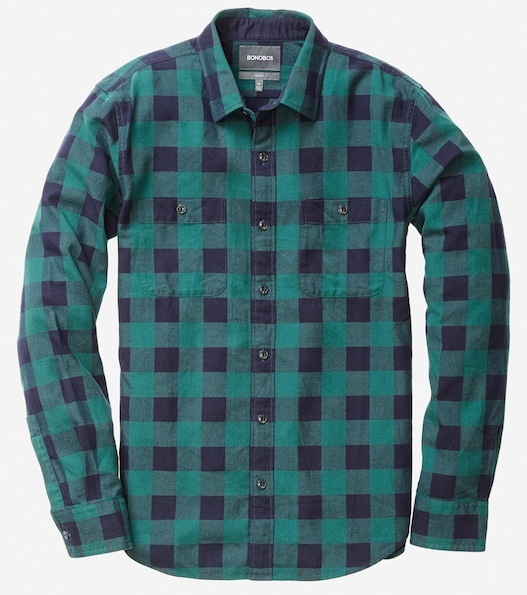 Their Grafton Check shirt has all the makings of a Fall and Winter staple for us. 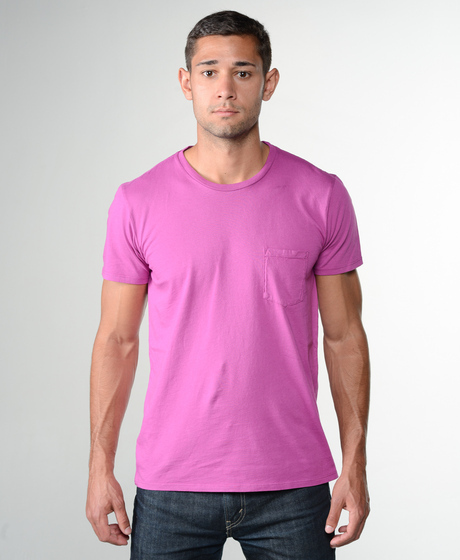 Last month, Hugh & Crye celebrated the successful funding of a Kickstarter campaign to bring fitted t-shirts to the masses. 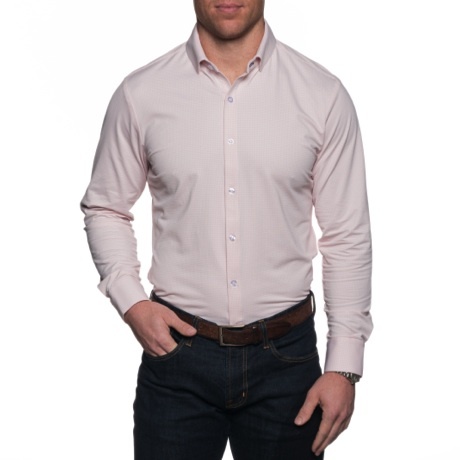 No, we aren’t talking about the “extra mediums” that so many guys try to squeeze into, we’re talking about shirts that are as tailored as Hugh & Crye’s fantastic sport shirts. We finally got our hands on one last week, and impressed is an understatement. 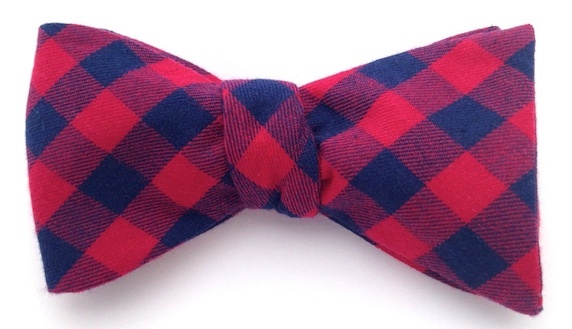 The thing we love most about Sid Mashburn (the store and the line) is the timelessness of just about every item. Sure, there are a few things that may be a bit trendy interspersed from time to time, but, for the most part, just about everything bearing the Mashburn name will fit in just as well twenty years from now as it would have twenty years ago. 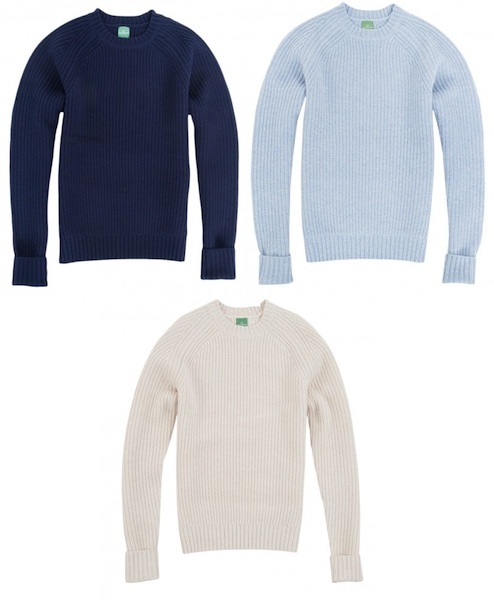 One of the pieces that will always be in style is the Shaker Stitch Crewneck Sweater. In a crowded marketplace it can be tough to stand out, especially when you’re talking about staple pieces. 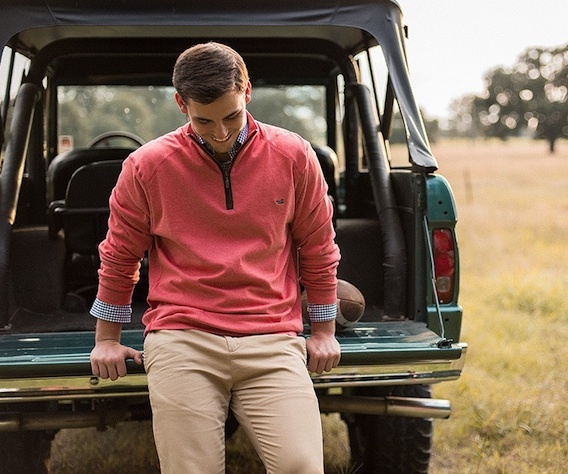 Beyond fit and finish, you have to get creative without being too off of the wall, and Southern Marsh has done just that with their newest quarter zip. Not only does it look great, the DownpourDry Cotton Pullover is going to function just like a raincoat should you find yourself caught in a shower. Though it may not be quite as iconic as Blackwatch, Buffalo Check is one of those patterns that everyone should have in their collection. The pattern has been around for centuries, but was dubbed “Buffalo Check” back in 1850 thanks to a designer at Woolrich who wanted to pay homage to a small herd of buffalo he owned (seriously). For their take on Buffalo Check, our friends at Bull+Moose changed things up a bit and went with a navy and red color combination. We’ll be honest, when it comes to major sports hockey isn’t at the top of our list. That being said, we definitely enjoy a Caps game from time to time, and have been known to “Rock the Red” to show our support. Even though jerseys seem to be the garb of choice for most fans, we still can’t bring ourselves to do it. 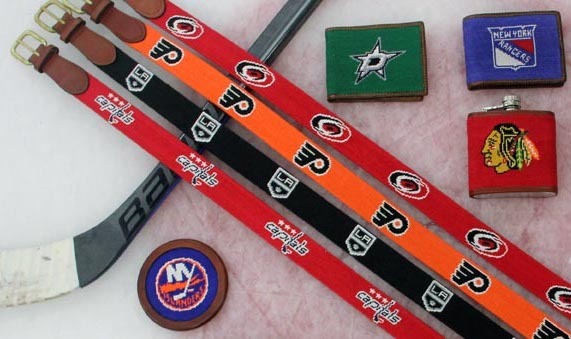 Instead, we’ve been on the lookout for some more unique NHL gear, and our friends at Smathers & Branson just unveiled some belts that we absolutely love. 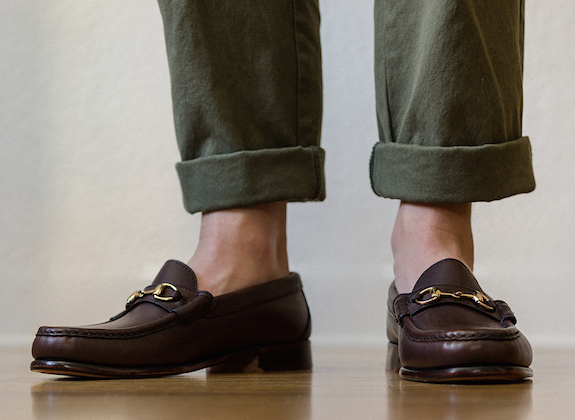 When it comes to loafers, we tend to find something we like and stick with it. For the last couple of years, that something has been a pair of Natural Beefrolls from Oak Street Bootmakers. While there is still plenty of life left in them, we have a feeling our trusty Beefrolls will be seeing a little less wear this year thanks to the just released Oak Street Bootmakers Bit Loafers. By this time next month, beards will be running rampant under the guise of Movember. Yes, we realize lots of people are actually participating to raise money and awareness for a great cause, but it seems like far too many guys simply use the month as an excuse to let things go. 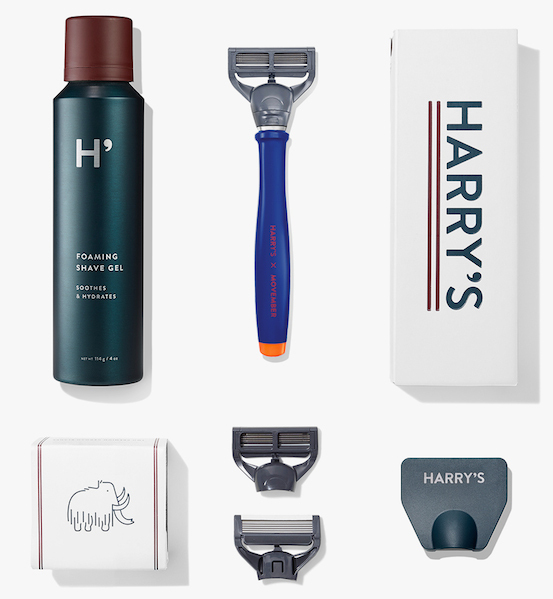 We’ll be making a donation, and keeping with our usual clean cut look courtesy of the Harry’s Movember Set. With the world virtually awash with pink this month, it’s pretty apparent to anyone who pays attention to just about anything, that it’s breast cancer awareness month. While we are never going to tell anyone what causes they should back, we feel pretty confident that our readership can all get behind this one. To do their part, our friends at Mizzen + Main are donating $25 for each Hucksley shirt they sell this month to help the treatment of breast cancer in veterans.